Security deposits are important to both landlords and tenants. 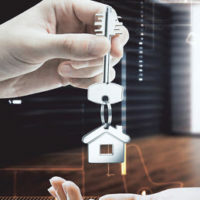 They protect the landlord if the tenant causes damage to the property or otherwise violates the rental agreement, and for the tenant, they are typically a substantial amount of money – typically equivalent to one and a half or two months’ rent. It is important to note that in Florida, as in some other states, there is a statute regarding security deposit disputes allowing the prevailing party in the dispute to recover reasonable attorneys’ fees from the other party. In Florida, there is no restriction on the amount of the security deposit for the rental of both residential and commercial property. With respect to residential rentals, Florida law is very specific when it comes to the duty of the landlord and tenant concerning the deposit money. The landlord must either hold that money in a separate interest bearing or non-interest-bearing bank account (in Florida) for the benefit of the tenant or post a surety bond (in other words, you cannot mix the security deposit with other funds). For any landlord who rents five or more dwelling units, the landlord must also provide disclosure of the security deposit to the tenant in the lease agreement or within 30 days of receiving the security deposit, which includes the name and address of the bank where the deposit is being held and whether the tenant is entitled to interest. They must also pay the tenant any interest earned annually and/or at the end of the lease term. Landlords have 15 days after the tenant has vacated the premises to return the deposit, unless they intend to impose a claim. However, if they fail to provide written notice of the claim within a 30-day period, they forfeit the right to impose a claim at all on the deposit, and instead have to return the deposit and file an action for damages afterward. Landlords are generally able to take deductions out of the security deposit to cover any damage to the rental (in excess of normal wear and tear), any unpaid rent, and any violations of the lease agreement which caused loss. However, they are not required to conduct a walk-through before the tenant moves out. Tenants also have specific procedures that they must follow: they have 15 days after receiving the landlord’s claim to object to the claim. However, failure to do so does not waive their right to seek damages in a separate action. And if either party institutes an action in court concerning a security deposit dispute, the prevailing party is entitled to receive their court costs and reasonable fees for their attorneys. The goal of provisions like these is to ensure that everyone has a right to legal counsel and that counsel will be paid a reasonable fee. At Moran, Sanchy & Associates in Florida, our attorneys work with both landlords and tenants every day in drafting, reviewing, and negotiating leases and particular provisions, such as the return of security deposits. Contact our office today for a free consultation to ensure that you are on the right path concerning your rights in a given landlord-tenant dispute.